Let’s start with my favorite mode in sports games these days, the career mode. In Madden 25, it’s called Connected Franchise and you can go online or solo, controlling up to one player, coach or owner for each team. I chose my typical setup, a running back for my hometown Browns, and started my first preseason game. It turns out playing running back is too easy; I ate up the defense for 280 yards and 3 TDs in three quarters. RBs have always been a bit overpowered in Madden’s career mode, though, so I go for a quarterback next and I’m blown away by all of the tipped/batted passes I see. My mid-range passes get tipped at the line repeatedly, and I thought EA said they fixed that last year. 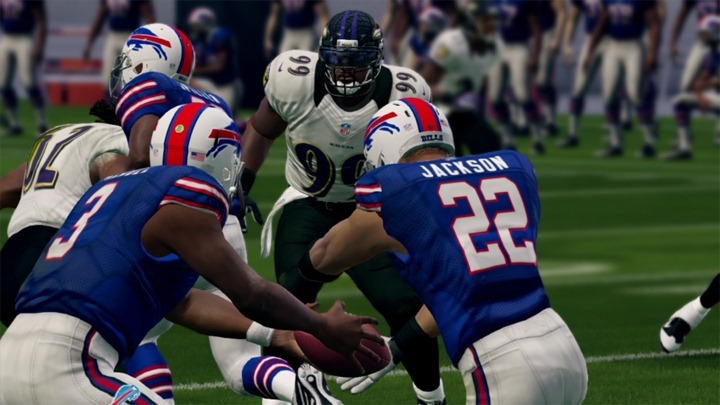 That’s my biggest issue with Madden 25 – it seems like I’m playing the same game again, with allot of the same flaws as I saw in Maddens past. My pet peeve is that they still have vacuum blocking. For those who don’t play Madden, it’s a phenomena where you’ll be running past a defender only to get sucked towards them and engage in a game of patty-cake instead of making a play on the ball. If the defender’s in front of you, that makes sense. It’s the defenders off to your side or seemingly out of range that irritate. 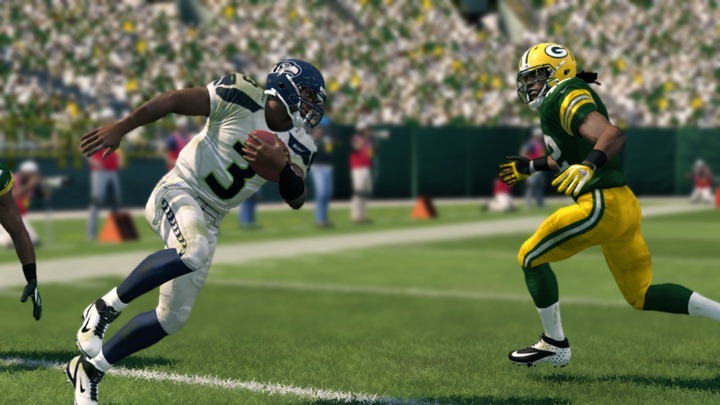 Truthfully, I’m disappointed in Madden 25. I probably shouldn’t be because it’s basically been the same story for the last few years but I am. Dedicated, competitive Madden-heads will probably see improvements I do not, so that’s nice for them, but I’ll continue to stick with NFL 2K5 for my football fun.